If your planning a kitchen renovation and are looking for a quality kitchen remodeling contractor, Bannochie Builders has just what you need. Our licensed and professional general contractors have been remodeling homes in Blaine and the surrounding Minnesota cities for almost 20 years now. We have completed multiple home remodeling projects that leave our customers truly pleased that they trusted their homes to us. Our work is so good… you might even get addicted and many times it’s contagious, spreading throughout homes and neighborhoods alike. It’s surprising how many of our clients come back for more. They catch themselves spending all their time in the kitchen, sleep walking to enjoy the ambiance, even unconsciously. Hosting large events to have an excuse to stay in the kitchen. The best part of this Bannochie addiction is that it’s actually healthy and instead of wasting your hard earned money, your investing it and the home renovations will pay off. Any addiction can be spendy but it’s important to notice the difference between a ripoff and a good deal. They’re the complete opposites of each-other but a ripoff can be disguised as a great deal, only to later find out that it was a waste and will be costing you more time and money. Bannochie Builders can stick within your budget. We understand that homeowners face a lot of surprises, while keeping up with the daily demands of a home, which is why we offer quality services at a prices that are easily affordable. We know what to look for before we communicate a price to you, so surprises will be minimum, due to our expertise in the field. No home remodeling job is too small or large for our remodeling contractors, contact us today for a free estimate on any of our home remodeling services at 763-574-0131 or email us at Gbannochie@yahoo.com. This entry was posted	on Friday, July 4th, 2014 at 5:44 pm	and is filed under Kitchen Remodeling. You can follow any responses to this entry through the RSS 2.0 feed. You can leave a response, or trackback from your own site. My name is Mr ferdinando,do you do Kitchen or Toilet Remodel and what type of credit card do you accept. 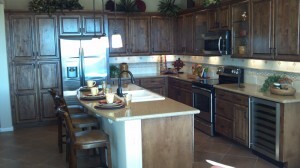 Yes, we are a full service remodeling company and can tackle both Kitchen and Bathroom Remodels, as well as more. Email Gary Bannochie directly, the owner, and we he will be able to answer all of your questions – gbannochie@yahoo.com or go to our contact page and call. Hope this helps you in your search for a remodeling professional, we would love to help you with your next improvement project!